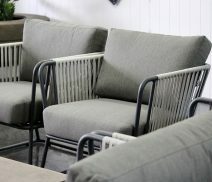 See our premium range of contemporary and modern designer outdoor furniture, dining tables, lounge chairs and accessories all on display in our Osborne Park Showroom in Perth, Western Australia. Be inspired to complete the perfect look for your outdoor area, commercial or high-end residential project. Our contemporary outdoor furniture range is specifically made to withstand Perth’s harsh dry and hot climate. Our urban outdoor furniture and garden accessories come in a range of durable and strong materials – concrete, GRC, steel, aluminium, woven rope, Ecolene, Sunbrella fabrics and rotationally moulded polyethylene. We supply only the best outdoor furniture and accessories from leading brands, providing designer pieces that will deliver lasting, long term solutions in the Perth climate. Woven Plus – Dutch Company Woven Plus are producers of high quality indoor and outdoor resin and rope furniture. 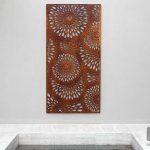 With over 90 years of knowledge and experience, Woven Plus are passionate about creating handmade furniture created in harmony with a long-standing artisan tradition to provide soul and unique character upon every single creation, giving softness and unique character to each design, while combining innovative modern materials. See the range of outdoor dining tables, chairs, benches, sofas and stools today, all on display in our Perth showroom. Serralunga – high-end contemporary designer pieces that are strong of commercial grade, made from incredible practical and durable rotationally molded polyethylene, including outdoor tables and seating – dining chairs, stools and benches. 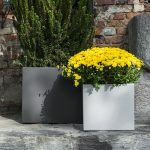 Litestone Outdoor Furniture – The Litestone outdoor furniture collection is made from GRC – fibreglass and concrete combined. 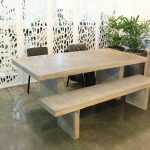 Our Litestone outdoor furniture is strong, durable, sturdy and minimal maintenance outdoor furniture offers a range of outdoor concrete dining table and seating options including concrete stools and concrete bench seats all for the outdoors (some like to use them inside too!). The Litestone range is exclusive to WG Outdoor Life in Perth, Western Australia so you wont find it anywhere else (beware of inferior copies). 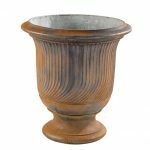 There is also a vast range of planters in many colours which complement the outdoor furniture range. 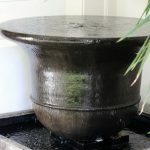 We supply to and advise the landscape industry, architects, builders, designers and general public. For all trade (for those actively working in the landscaping industry) and retail enquiries visit our showroom, open Monday to Saturday 9am-5pm or call us on (08) 9443 7993.